US, 1986, 120 minutes, Colour. Craig T. Nelson, Bonnie Bedelia, Gennie James, Cherry Jones. Alex: Portrait of a Child is one of those American telemovies, frequently made, where a drama is presented centring on a fatal illness. It gives the audience opportunity to understand something of the illness, the emotional repercussions on the victim as well as on family. In this case, the illness is cystic fibrosis in a young child. The film is based on a memoir by the girl's father. The structure of the film focuses on the father and his inability to deal with his daughter's death, his writing the memoir and the flashback memories - the effect on himself, on his wife, the family. It highlights the relationship between father and daughter and her death at a very early age. 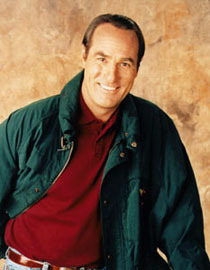 Craig T. Nelson is solid as the father, Bonnie Bedelia as the mother. Gennie James is very good as the vivacious young girl. Once again, the film is an emotional exploration of the illness and the presentation of how people try to cope. 1. Impact of the film? Drama, sentiment, emotional involvement with the ailing child, with the parents? The value of this kind of portrait of illness? 2. The film as telemovie: for the widest audience, for quick understanding, emotional involvement? The effect of this kind of movie for understanding and sympathy? 3. The setting: the period after the girl's death, the flashback memories? The home setting, the hospital sequences? 4. The film based on a true story, the emotional memories, learning from this kind of memoir? 5. The presentation of cystic fibrosis, origins, the effect on the child, on the system, eating, weakness? The effect on the child as she was growing up? What she could do ordinarily, unable to do? The debilitating weakness, going into hospital, the preparation for death? 6. The father and his response to his daughter's death, his writing his memoirs as the framework of the film? His inability to cope? Relationship with his wife? The importance of the memories, going over them again, the tribute to his daughter? The possibility of adopting a child? His inability to cope? The reconciliation with his wife - and the start of a new life? 7. The portrait of Alex: when she was born, the joy for the family, the doctor's news of her illness, the small child and the effect of the illness, the symptoms? As she was growing up, at home, with her brother, playing? Hospital, the difficulties in breathing? Her parents' vigilance? Going to school, doing ordinary things, her vivacity? Her sadness, the appreciation of death, her concern about her parents, discussions about angels and Heaven? The preparation for her death? 8. Frank and his wife, their having to deal with the situation, throughout the early life of the child, anxiety, joy? Relishing her presence? At hospital, the offhand attitude of doctors, at her bedside? Each dealing with the illness in their own way? Alex's brother and his dealing with it? 9. The presentation of doctors, experts, nursing staff? 10. The family friend, her pregnancy, her ability to care for Alex and support her? 11. The possibility of adoption, the wife's concern, her feeling alienated, the clash with Frank, going to the movies, the reconciliation, the news of getting the child, the homecoming, a future? 12. The popular American treatment of themes, characters? To educate and emotionally involve a wide audience?